Dry. Prairies, pastures, roadsides, railroads. Full sun. 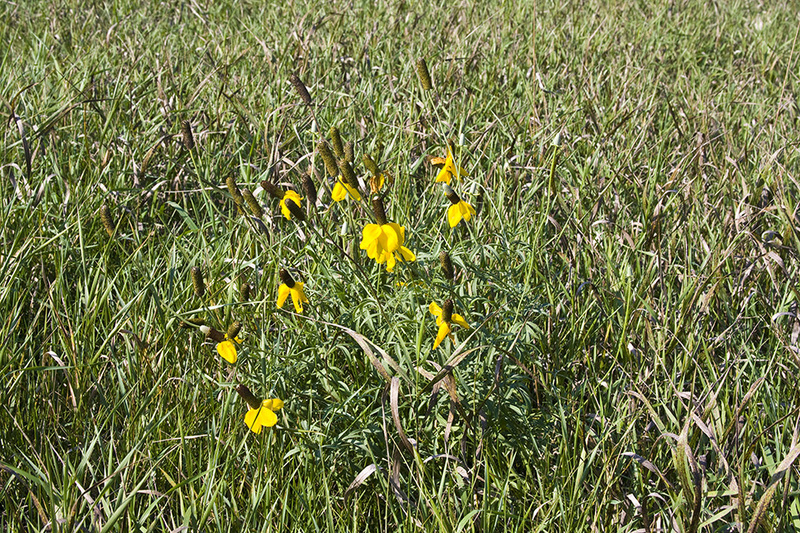 This is an erect, perennial forb that rises on a solitary stem or, more commonly, multiple stems from a taproot. It can be 12″ to 40″ tall but usually reaches no more than 24″ in height. The stems are erect, unbranched or occasionally branched above the middle, grooved, hairy, and rough to the touch. 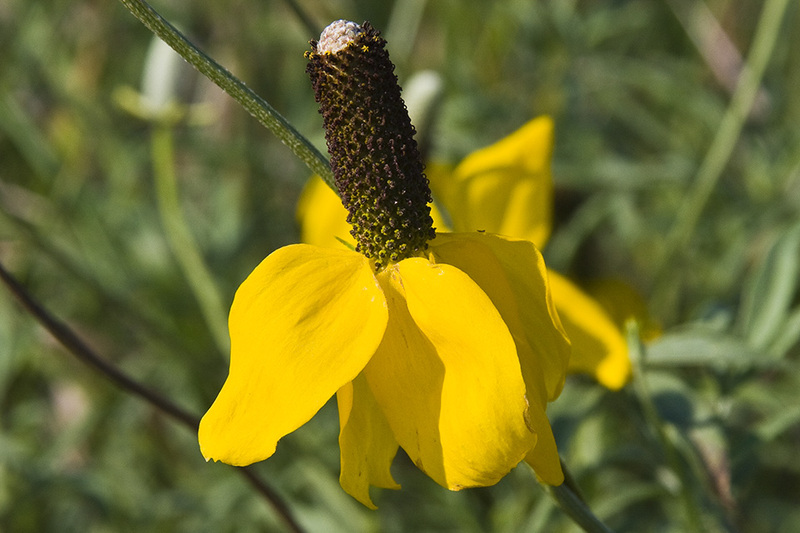 The leaves are alternate, spreading, ¾″ to 6″ long, and 5 ⁄16″ to 2⅜″ wide. 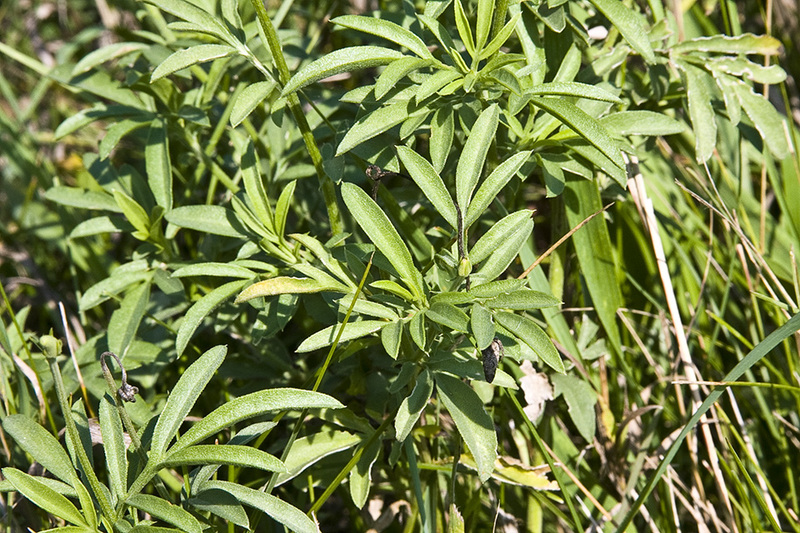 Lower leaves are on leaf stalks up to 2″ long, upper leaves are stalkless. The leaf blades are deeply divided into 3 to 15 lobes (pinnatifid) which may be again divided into lobes (bipinnatifid). The ultimate lobes are narrowly linear lance-shaped or narrowly oblong egg-shaped, up to 2⅜″ long, and 1 ⁄32″ to ⅝″ wide. They have 1 inconspicuous vein and may be pointed or blunt at the tip. The upper and lower surfaces are covered with short, appressed, stiff hairs and are dotted with glands. The margins are untoothed. 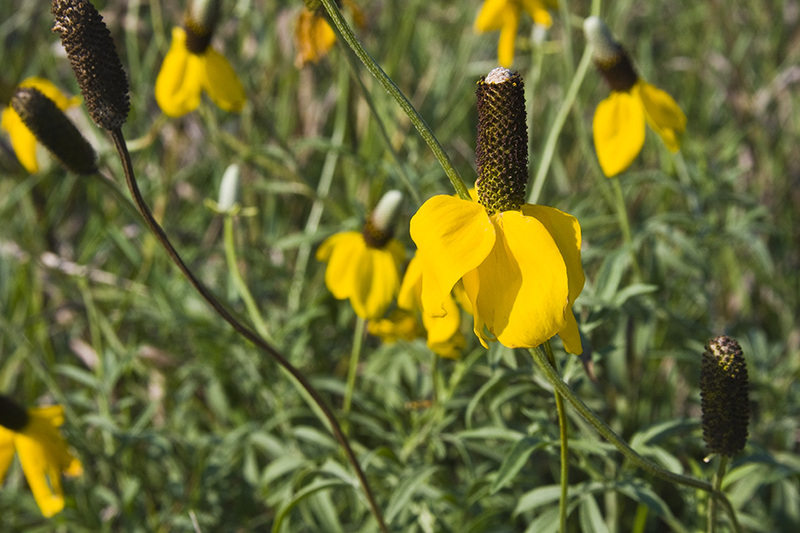 The inflorescence is a single, 2″ to 3″ long flower head at the end of each stem and branch. 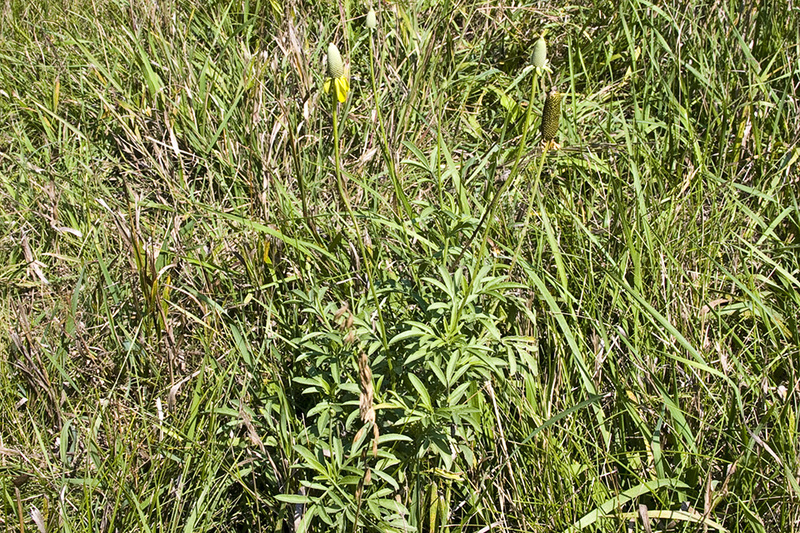 A single, multi-stemmed plant may have up to 15 flower heads. 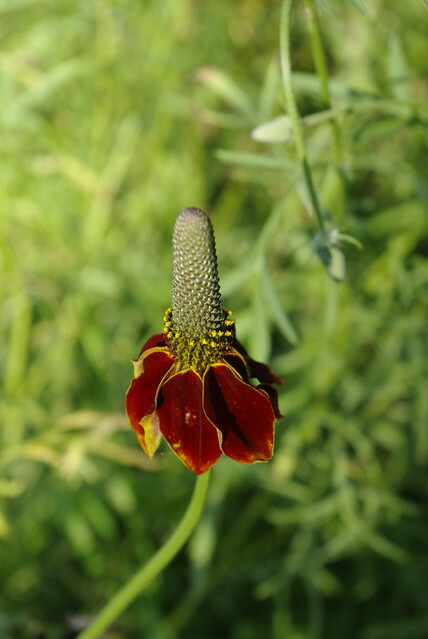 The flower heads are held well above the leaves on prominently ribbed stalks that may be 2½″ to 10″ long or more. Each flower head is composed of 4 to 12, usually 6, ray florets and a central disk with 200 to 400 or more disk florets. The ray florets are yellow, lance egg-shaped to elliptic inversely egg-shaped, ¼″ to 1⅜″ long, and ⅛″ to ⅝″ wide. They droop downward at the base of the receptacle. The receptacle is shaped like a column, ⅜″ to 2″ long, and ¼″ to ½″ wide. The disk florets are 1 ⁄32″ to 3 ⁄32″ wide with greenish-yellow corollas that are purplish-tinged toward the tip. The fruit is a dark purple achene. Some plants have maroon or purplish ray florets. These are more common in the southwestern states. Some authorities treat this as a separate variety or form, var. pulcherrima or f. pulcherrima. Thin, dry scales or bracts; the bracts on the receptacle of the flower head of some Asteraceae. 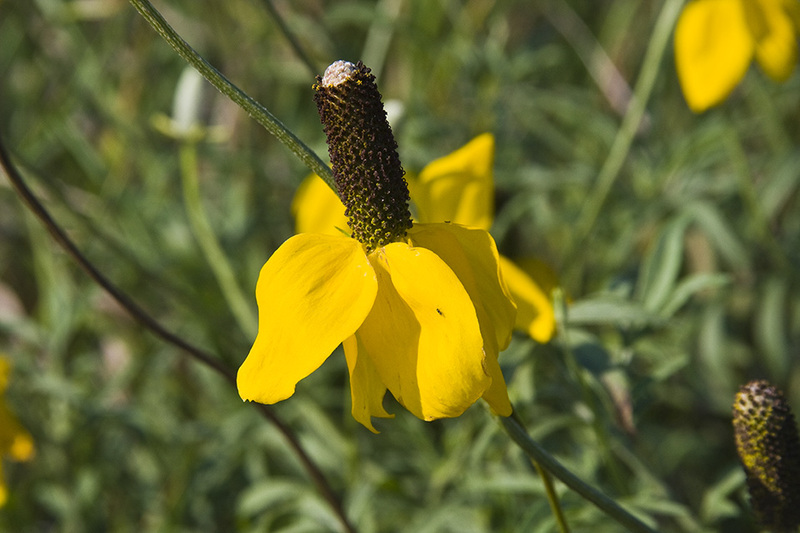 Susan describes the conservation benefits of 'Stillwater' upright prairie coneflower, Ratibida columnifera, a perennial wildflower native to North America with conservation applications. 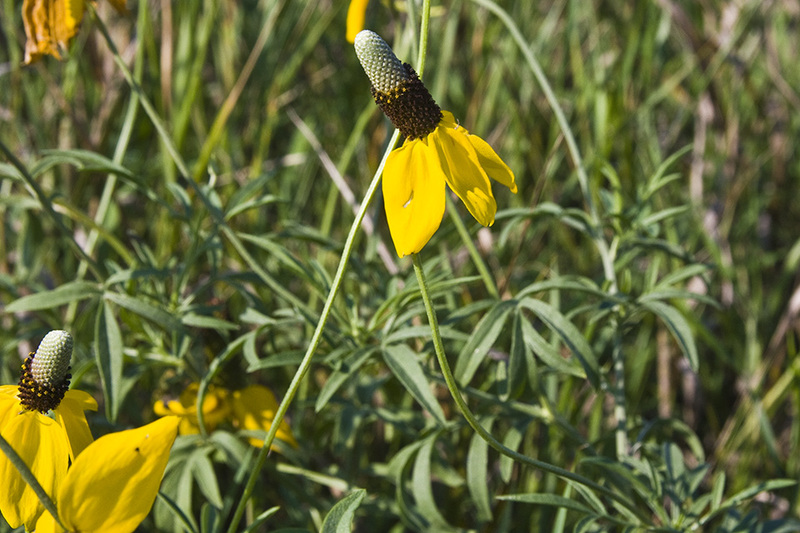 For more information on Ratibida, log onto the Plants database or contact jim.jacobs@mt.usda.gov.